A huge HELLO to our Adoration Nation! We’ve been so busy with the CrossFit Open that we’re a little behind with our own goal for recognizing our new Member of the Month here in 2017. That said, a quick and huge CONGRATULATIONS to each and every one of our members with their own accomplishments with the 2017 CrossFit Games Open Workouts! Our own Master Mike is a daily attendee of the bright and early morning workouts, yes those crazy early 5:30m timeslots come to mind! He’s married to Beverly, his wife since June of 1972! He met her while teaching together professionally. He’s built a strong family, of which his son Greg who lives/works in Washington DC and of course his daughter Kerry Foley, who has graced Mike with four grandchildren! Master Mike has taught physical education for 24 years along with working as an Administrator in Northampton Area School District for 16 years. 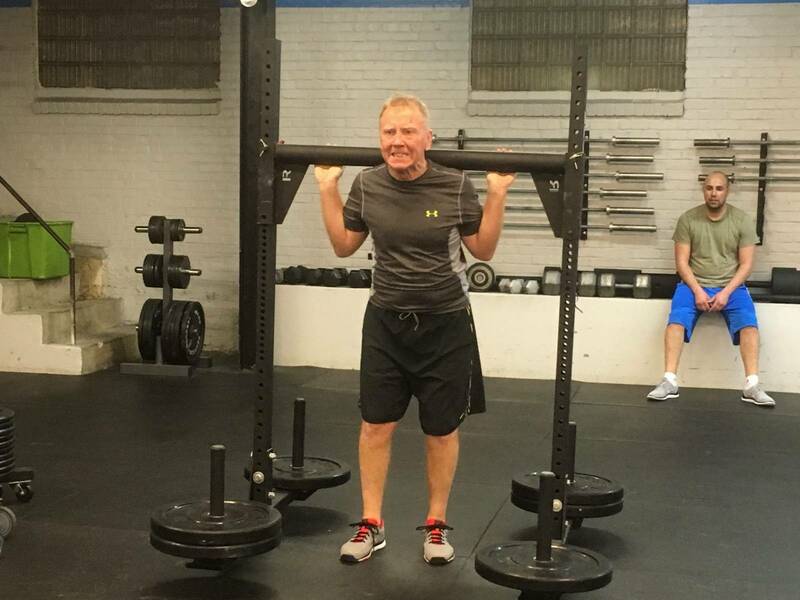 He has spent the last 10 years as principal of George Wolf School in Bath, PA.
Mike came to CrossFit Adoration wanting to regain some of his lost strength. 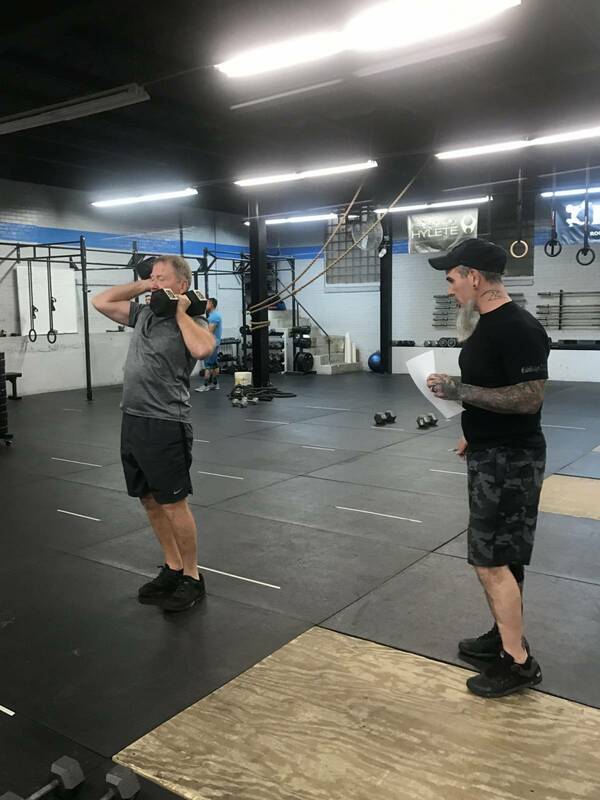 A fellow CrossFitter, Ryan had invited him to CrossFit Advanced which in turn triggered him to like CrossFit right away. He came to join our Adoration Nation initially because of location. In Mike’s own words, he really enjoys the coaching, our friendly/encouraging atmosphere, as well as the friendship of all members. He also appreciates the entire network of people associated inside and outside of our Adoration Nation. At the age of 68, Mike aka Master Mike is a true testament that age is just a number and its never too late to start. A member since Aug 2015, he competed in his first Open last year (2016) where he completed all the WOD’s as an RX Master Athlete. He accomplished his first C2B (chest to bar) pull-up along with conquering many other movements along the journey of the CrossFit Games Open. He’s back competing again this year and he has already PR’d by competing T2B (toes to bar) and OHS (overhead squats). Master Mike has no excuses and will always give 100%, often times even amazing himself. 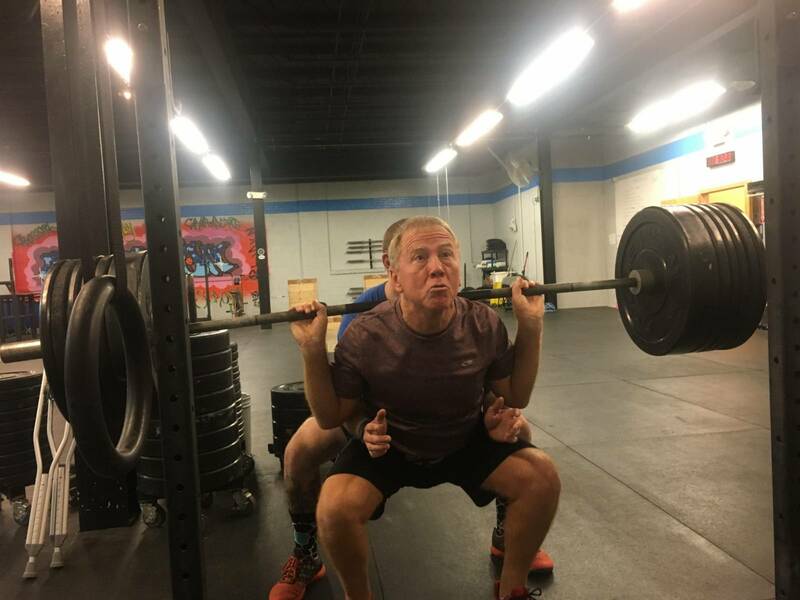 Mike is a huge part of the community and you might even catch him doing a WOD with his grandchildren at CrossFit Advanced. It has also been said that you will be able to see Mike compete in the team division this year at Test Your Metal. Mike is a true inspiration for our community and proof that a healthy and active lifestyle will keep you moving and living longer! Thank You Master Mike, for showing us how to remain young through consistent activity, daily dedication, and the overall attitude of never giving up!